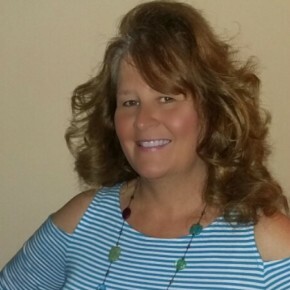 Springfield Ohio – A Hidden Gem Weekend Getaway! Springfield Ohio is one of those towns off of the beaten path that you really must add to your bucket list to visit and #FindYourUnwind! When we travel as a family, even if we go to a well known destination, we like to go off the beaten path and explore the hidden gems that are in the area! The reason we love to do this is because you never know what is waiting for you to discover! We recently had the opportunity to visit Springfield Ohio over a weekend. At the end of our trip our family agreed that we wished we would have stayed longer AND that we can’t wait to go back again! Here are our tips on how to Visit Springfield Ohio and discover A Hidden Gem Waiting for You! Head over for an afternoon coffee break at Un Mundo Café. After nourishing your soul, walk through the café and visit the Heritage Center of Clark County. If you have time and a volunteer is there and offers a guided tour; ACCEPT IT! We did the guided tour and if you really want to be taken back in time, this is a must! Our guide was fantastic and the fact that he was so passionate about the history of the area made the guided tour perfect! 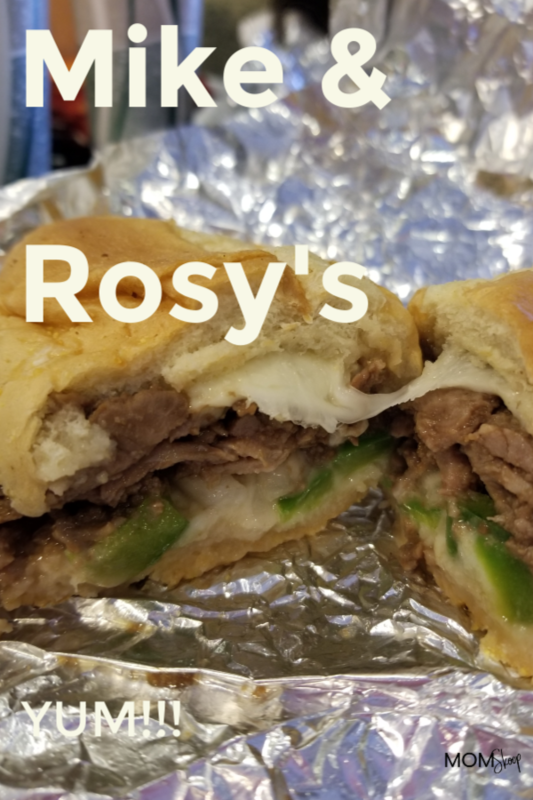 After being transported back to the early years of Springfield Ohio and Clark County, load up and head over to Mike and Rosy’s Deli; which has been an institution in the Springfield area since 1977! In addition to their famous deli sandwiches, they have gourmet soups and pizza! Now with your tummy full, you may feel like you need to walk off your lunch! Head over to the Hartman Rock Garden! The admission to the rock garden is free (however, donations are accepted). The Hartman Rock Garden, which is something so majestic yet so simple, has been standing since 1932. 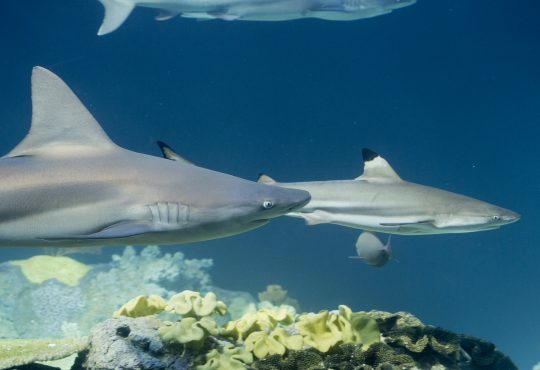 Ben Hartman, after being laid off from his job, starting constructing a cement fishing pond in his backyard and as they say, the rest is history! 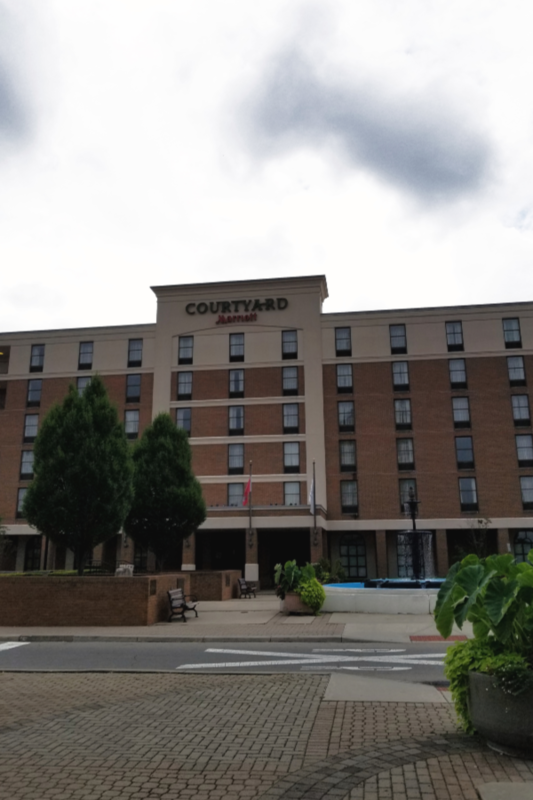 After exploring this amazing hidden gem, head over to the Courtyard Marriott so you can get checked into your room and get freshened up for dinner! After heading up to your room, you will be greeted with a stylish yet comfortable room! Once you have had some rest and relaxation in your room, you may be in the mood to do a bit of exploring before dinner. May we suggest heading over to the Springfield Art Museum? Unfortunately during our visit it was raining pretty hard so we were unable to visit the rapids, however, we will definitely do it the next time! The art museum is beautiful and was a nice and relaxing change of pace! 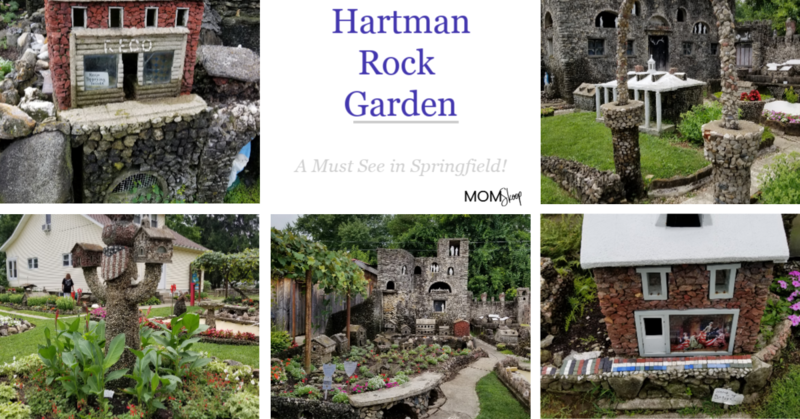 It’s a definite must see while you are in Springfield! 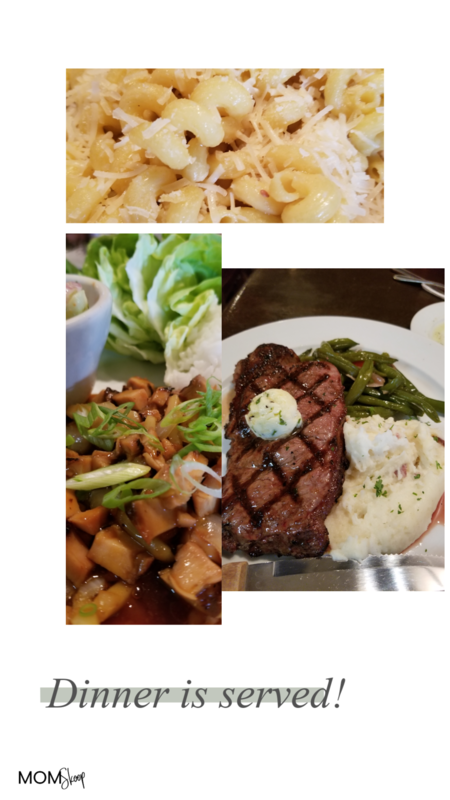 By now your stomach may be filling a bit empty, so I would love to suggest a meal at Season’s Bistro! The atmosphere in the bistro was amazing and the food was superb as was the staff! You definitely will not be disappointed in the decision you make to dine here! 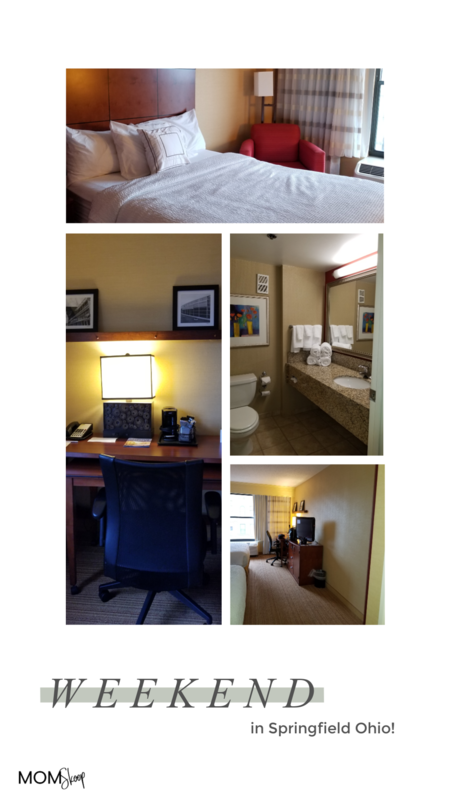 By now you may be tired and thinking it would be a great time to head back to the Courtyard by Marriott and jump in the pool and then retire to your room for the evening! That would be a great idea so you can get prepared and rested for another full day of exploring Springfield on Saturday! After the restful sleep, head down to the breakfast buffet in the hotel. This buffet is an addition fee, however, it is very filling. To start off the day, may I suggest a visit to the Farmer’s Market that is right outside the hotel! The ambience and the music is fantastic! The next stop I would suggest is another must visit to get on the driving trail for a bit and check out the National Road. 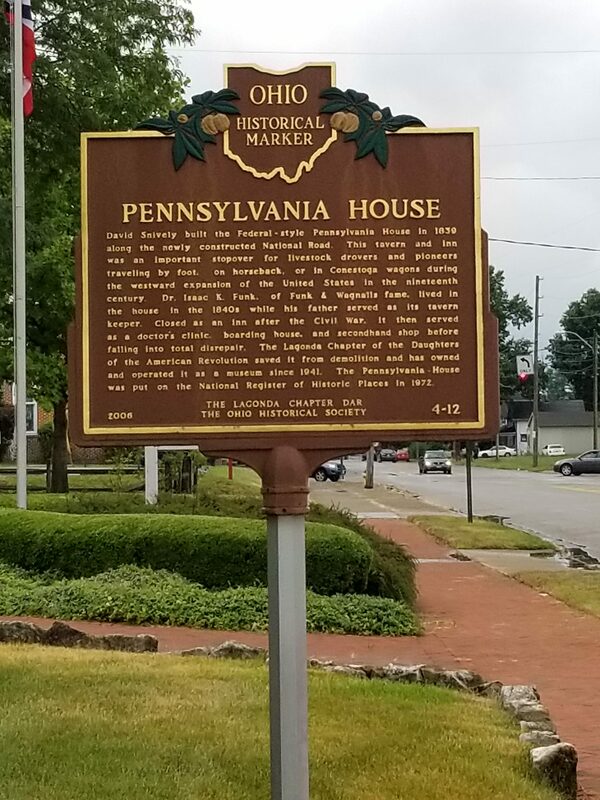 While you are on the National Road, you have to stop at the Pennsylvania House! This was a part of the National Road and a mainstay for those trailing the road. 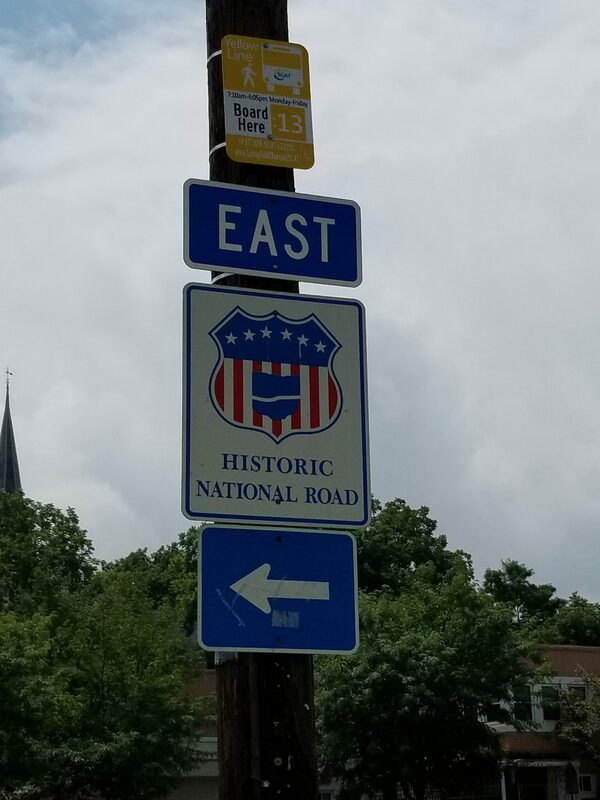 After our brief drive on the road as well as seeing the Pennsylvania House, we have decided that one of our bucket list trips will be touring the National Road from start to finish! We think it would be an amazing time! Head over to the Champion City Guide & Supply store! There you will find lots of great items such as souvenirs, any additional maps, guides, and tips for other must see things to do! 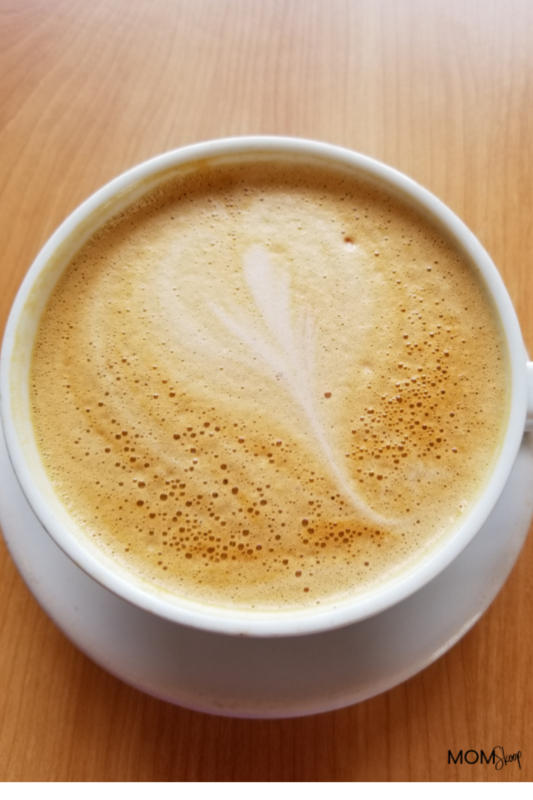 While you are downtown, consider a stop at Winans Coffee & Chocolates for a quick pick me up. After your yummy respite, head over to the Westcott House which was designed by legendary architect Frank Lloyd Wright. If you enjoy exploring nature, you can head out to the C.J. Brown Reservoir and head over to the Buck Creek State Park. If climbing is your thing, you simply must head to Mad River Gorge! 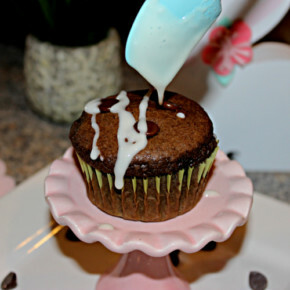 By now you have a ravishing appetite! There are so many options to choose from for dinner! One of the amazing restaurants I would suggest is Young’s Jersey Dairy and Golden Jersey Club! Now that your tummy is full and your heart and mind is full of memories of Springfield, head back to your room and get refreshed for the adventures that await you on Sunday! Happy Sunday! 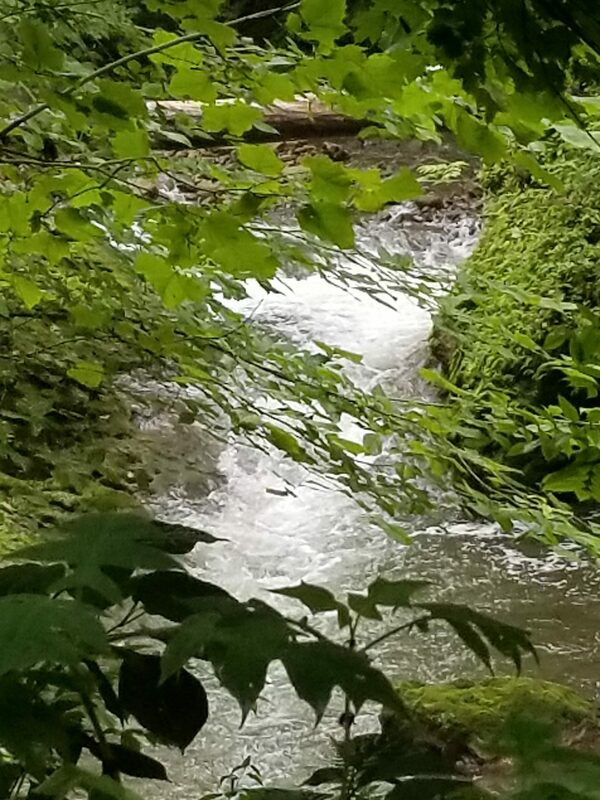 After another filling breakfast at the hotel or at Schuler’s Bakery, jump in the car for an adventure in Yellow Springs Ohio! Having grown up in Ohio, I had heard of Springfield but had never heard of Yellow Springs. I have to admit now that I’ve been there, I have to go back sooner then later! Yellow Springs is about 10 minutes south of Springfield. It is a very unique and artsy town. If you are looking for a fun little town that is laid back, full of shops and restaurants, then this is your place! First head to the Tecumseh Sunflower Field! Since it was still a bit rainy out, we didn’t stop there, however, it is an amazing place for pictures and a must see! 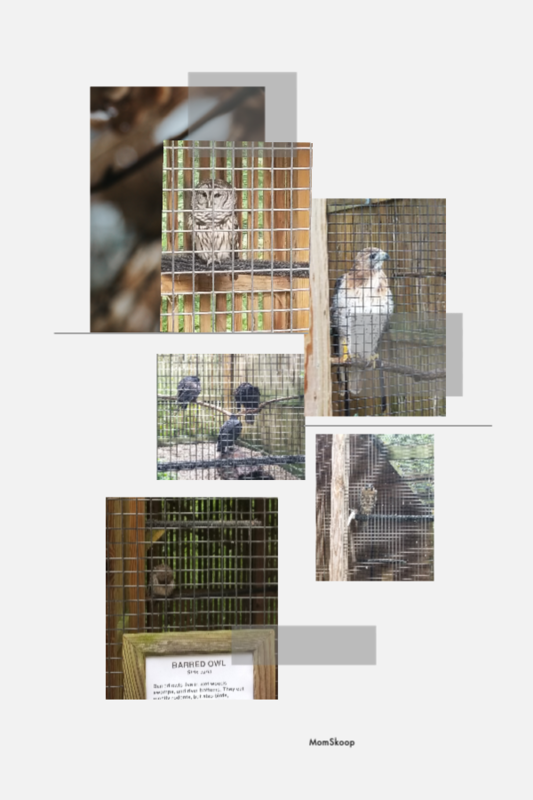 Glen Helen Nature Preserve and check out the Rescue Raptor Center. I think it is so cool there is a place like this that takes care of the birds! Next head to John Bryan State Park! There are several trails that you can spend time on while you are walking and driving through the park. I must admit that they are breathtaking! After spending time in the park, head downtown to explore Yellow Springs! 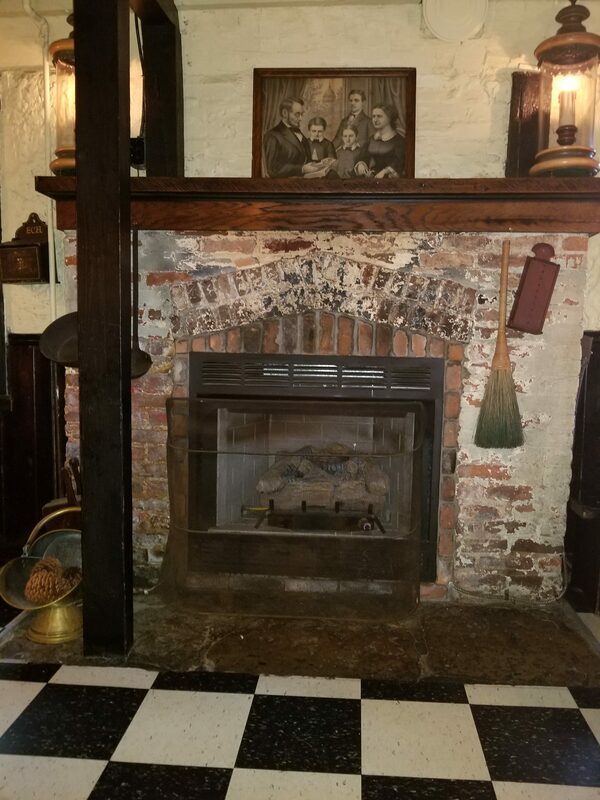 Here you will find everything from tiny shops, unique finds, lots of yummy food AND the oldest tavern in Ohio; the Ye Olde Trail Tavern! Just an FYI. 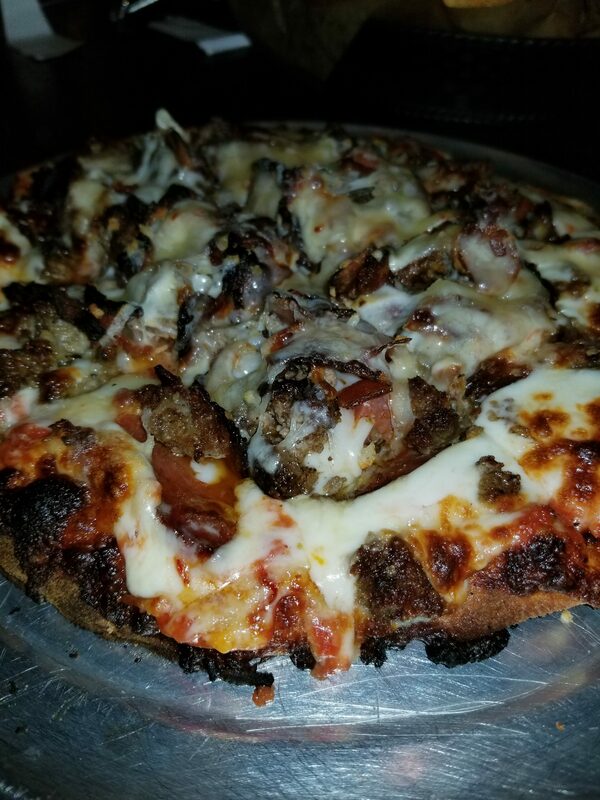 If you decide on the pizza, one is PLENTY for a family of four! My husband and I each ordered a pizza and there was so much left over! How was your virtual trip? 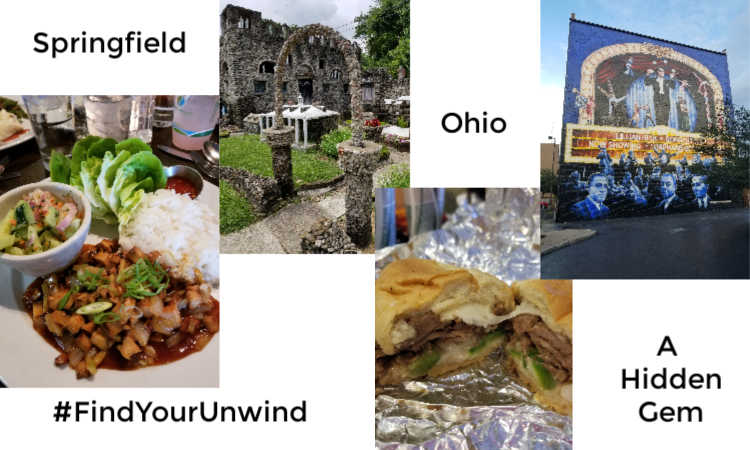 Are you ready to #FindYourUnwind and head to Springfield and explore a hidden gem right in the heart of Ohio? Believe me when I say that you will NOT be disappointed in your trip! Fall Cleaning Steps – Get Your Home Ready for Fall!